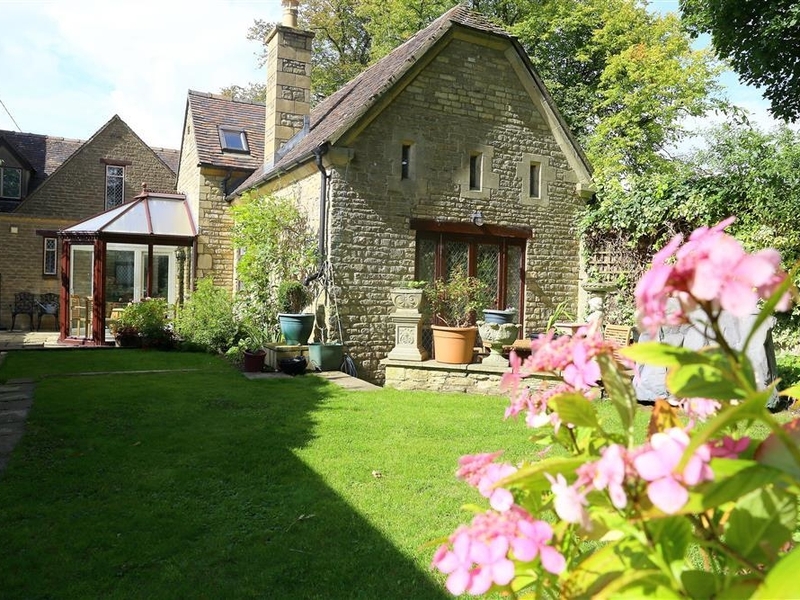 Tyte Cottage is a detached property based in Great Rollright, Warwickshire. 2 Bedrooms Central heating, woodburner. Electric hob, oven and grill, microwave, large fridge and freezer, dishwasher, plus an Espresso coffee machine with some pods supplied. TV, DVD, WIFI. Fuel and power and inc in rent. Bed linen and towels inc in rent. Cot and highchair. Ample off road parking. Shared gardens, private terrace. 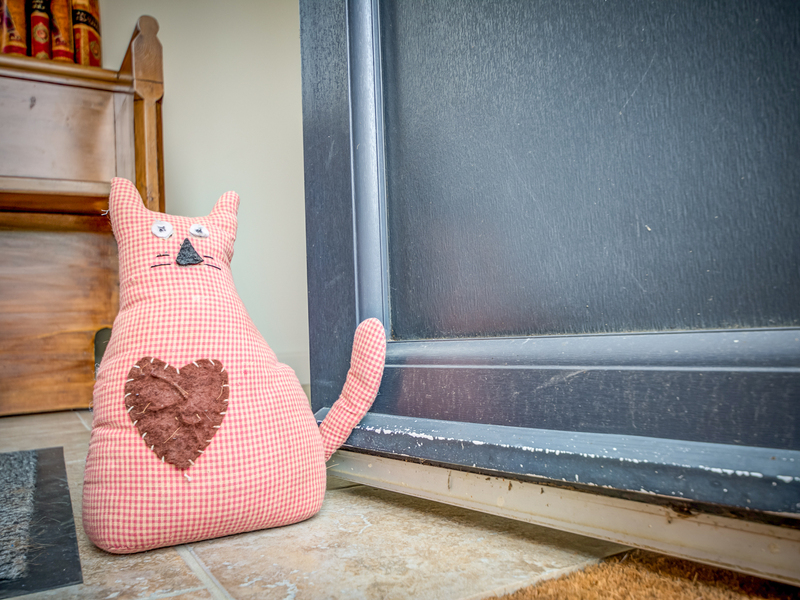 One well behaved pet welcome. Sorry no smoking. Shop and pub 2 miles. Note: Please do note that the owners will be 'pottering' around keeping on top of the flower beds! Wytons Piece is a ground floor, holiday cottage located in Ascott, Warwickshire. 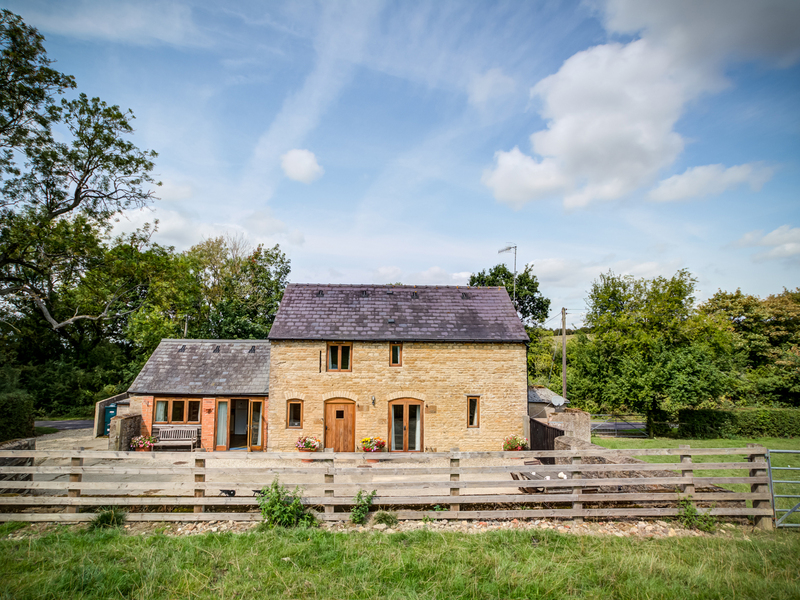 It is set within the open farmland overlooking the rolling hills of the Northern Cotswolds. The property opens up to an open-plan living room with a dining area and a wood burning stove, as well as a fitted kitchen with a breakfast bar. There are two king-size bedrooms, one with an en suite shower room and WC, and one twin bedroom. There is also a separate bathroom and WC. To the rear of the property there is a terrace and garden area with furniture provided. Off road parking is available. Wytons Piece is the perfect property for remote holidays. 3 Bedrooms Central heating with woodburning stove. Six ring electric hob, double oven and grill, microwave, dishwasher, washer/dryer plus breakfast bar and stools and large fridge freezer. Large 42" flatscreen TV, DVD, ipod dock, basic WIFI. Fuel, power and starter pack for woodburner included in rent. Bed linen and towels inc in rent. Cot and highchair available on request. Off road parking. Terrace/garden with furniture. Sorry, no pets and no smoking. Shop 5 miles, pub 4 miles. Note: Basic WIFI, okay for checking emails but not fast enough to download a film. Wyton's Piece and the adjoining property Top Barn can together accommodate a group of up to 10, please call our call centre for more information. A starter pack of logs will be provided. Appin Cottage is a detached cottage located in Shipton Under Wychwood, Oxfordshire. 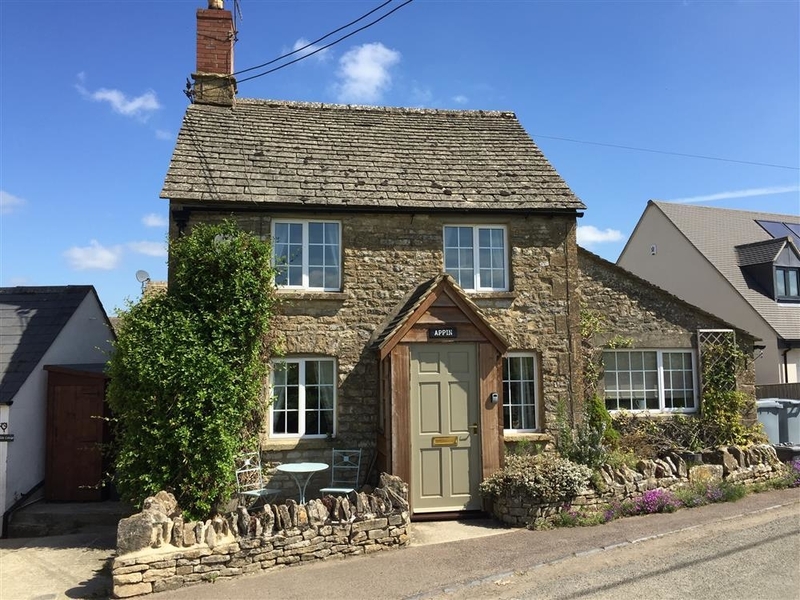 It is set down a quiet lane on the edge of a very attractive village and is a classic, cosy rural retreat. There is an open-plan living room and dining area with a wood burning stove, and a fitted kitchen. Upstairs has one double bedroom and one ground floor bathroom and WC. Outside has a small seating area to the front of the property. Off street parking is available. Appin Cottage is perfect for couples. 1 Bedrooms Heating with woodburning stove. Gas hob and electric oven and grill, microwave, fridge and ample storage space. TV, DVD, WiFi. Fuel and power inc. in rent. Bed linen and towels inc. in rent. Small seating area to the front of the property. On street parking. Cot and highchair available. Shop 1 mile, pub 0.5 miles. 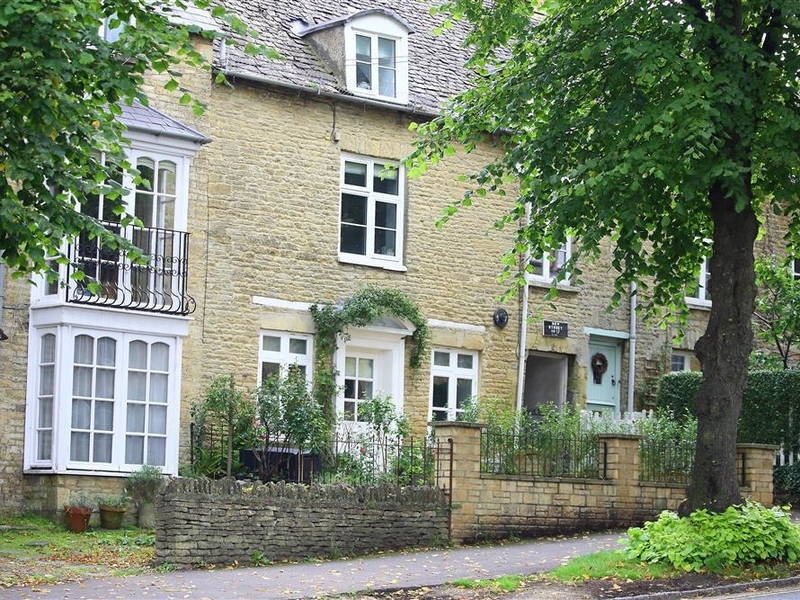 Hare House is a town house that can be found in Chipping Norton, Oxfordshire. It is set across three floors and has been stylishly updated to give guests that welcoming and homely feel. Inside you will find a living room with a wood burning stove and window seat, and a fitted kitchen with a dining area. Upstairs has one king-size bedroom, one double bedroom and one twin bedrooms with an en suite bathroom and WC. There is a separate family bathroom and WC. Outside is a small gravelled terrace area with furniture provided. There is roadside parking available. Hare House is perfect for families and small groups. Anvil Cottage is a cottage located in Churchill, Oxfordshire. There is an open-plan living room and dining area with a traditional wood burning stove and doors that lead out into the garden. Upstairs has two king-size bedrooms with two en suite bath and shower rooms and WC. There is a rear enclosed garden and patio area with a table and chairs. Parking is available at the property. Anvil Cottage is an excellent property for two couples. 2 Bedrooms Heating with woodburning stove. Electric hob oven and grill, microwave, fridge with ice box, washing machine/dryer and dishwasher. TV, DVD, WiFi. Fuel and power inc in rent. Bed linen and towels inc in rent. Rear enclosed garden with table and chairs. Off road parking. Cot available. Sorry, no smoking and no pets. Shop 1,5 miles, Pub 0.1 miles. Note: The cottage lies next door to The Forge B&B and small MOT Garage. Little Barn is a detached barn conversion found in Ascott, Warwickshire. It has been renovated from a stone barn into a stylish country cottage overlooking farm fields. Inside has exposed beams, solid pine doors and a flagstone floors. Inside has a large living room with an open-plan fitted kitchen and dining area. There is a double bedroom and a twin bedroom with a separate bathroom and WC. Outside is a large and secure gravelled courtyard with large pots of flowers and garden furniture. There is parking available at the property. 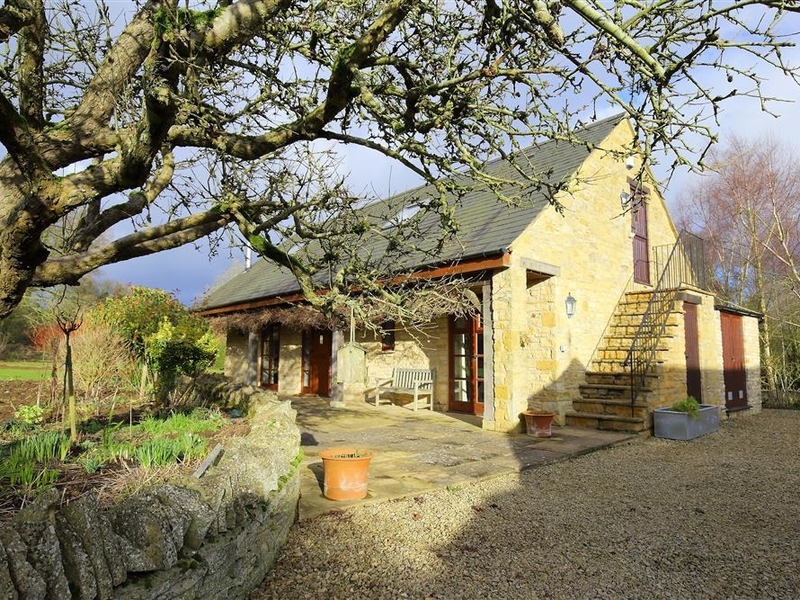 Little Barn is an excellent property for those countryside lovers. 2 Bedrooms Central heating. Electric oven and hob, microwave, fridge, freezer, washing machine, dishwasher, TV, DVD, WiFi. Fuel and power inc. in rent. Bed linen and towels inc. in rent. Cot and stairgate available on request. Off road parking. Gravelled area with furniture. One pet and no smoking. Note: WiFi has limited connection, suitable for checking emails but slow when downloading. Note: There is a landline in the property which is chargeable at the end of the stay direct to the owner. Top Barn is a barn conversion located in Ascott, Warwickshire. It is surrounded by cattle roaming the surrounding fields. The owners have taken to converting this barn into a stylish and contemporary cottage with spacious rooms. Inside you will find an open-plan living room, dining area and fitted kitchen. There is one king-size bedroom and one twin bedroom with a separate bathroom and WC. A small paved courtyard can be accessed by the master bedroom or a side gate with furniture provided. Off road parking is available. Top Barn is ideal for small families. 2 Bedrooms Central heating. Electric hob, oven and grill, microwave, dishwasher, large fridge / freezer, washer/dryer. TV with Freeview plus DVD player, basic WIFI. Fuel and power and inc in rent. Bed linen and towels inc in rent. Cot and highchair available. Off road parking. Small courtyard accessed via master bedroom, or gate at the side. Sorry, no pets and no smoking. Shop and pub 5 miles. Note: WIFI is basic and not suitable for streaming/downloading. Note: Top Barn and the adjoining property Wyton's Piece can together accommodate a group of up to 10, please call our call centre for more information. Located in the Cotswolds village of Swerford close to Banbury and Chipping Norton there is no shortage of walks and cycle trails to investigate. The Cotswolds is a large Area of Outstanding Natural Beauty close the border with Wales that is so large that it reaches into six different counties. The main cities and towns in the area are Oxford Worcester Cheltenham Tewkesbury Bicester Banbury and Stratford-upon-Avon. Major visitor attractions in the wider region include Blenheim Palace Cheltenham Races Hidcote Manor Chipping Campden and the Shakespeare mad Stratford-upon-Avon. Travel to the highest point in the Cotswolds Cleeve Hill near Cheltenham for a grand day out with views. On arrival at the property you will find yourself in the lounge complete with wood burner and ample seating to relax on and catch up with a spot of reading or TV. Nearby is a light study for those that need to catch up on a bit of work or spend some time on their novel! There is a desk and appropriate seating. The kitchen comes well-equipped with an oven and hob toaster fridge/freezer wine fridge microwave dishwasher and washing machine. There is also generous amount of worktop space to prepare family banquets on. There is also a BBQ in the garden too! There is a WC for convenience on the ground floor adjacent to the study. The sun room is a great place to escape to to enjoy the views and to catch up on some reading with a cup of coffee or catching up on a good book. Upstairs there are three bedrooms; a master bedroom with oak floorboards it also has an en-suite shower room with WC a second double bedroom and twin room that is ideal for kids look out for a bag of toys and books in there. The main bathroom is also close by. On stepping outside the back garden is enclosed with a stone wall and the lawn bordered by plants and bushes. There is some garden furniture and BBQ to make the most of the good weather on a patio to the right of the sun room. The front of the property opens out directly on the country lane. There is unallocated on-street parking available. The vibrant market town of Chipping Norton is the highest town in Oxfordshire situated on the western slopes of the hillside that was once the site of a Norman castle. The town is well served with a good selection of shops wine bars pubs restaurants and a theatre. For walkers you have access to the countryside with circular walks that will guide you through the countryside. There are many other market towns within easy reach to include; Burford Stow on the Wold Bourton on the Water and Broadway. Daylesford farm shop and Cafe are just a few miles away along with Soho Farmhouse. The area is also brimming with National Trust properties and gardens to include Chastleton House Hidcote House and Gardens and Blenheim Palace. Enjoying a great location within an elevated position this beautifully finished bolthole is a great base. Step inside to receive a warm welcome the ground floor though small is well configured the space enjoys natural light from the large sash window with shutters a small table with two stools for you to enjoy a morning coffee. There is a small area with sink and work top with a microwave fridge with ice compartment kettle and toaster offering the basics. There is a shower room with WC on this floor. The annex enjoys high ceilings and has a spiral staircase that climbs to the open-plan first floor. Here you will find a cosy bedroom/ lounge area with a double bed dressed in white bed linen soft cushions and throws. The sofa is cosy and comfortable and a great place to relax after a day s walking and exploring the local area. Step outside and enjoy a glass of wine in the evening sun this space is perfect to lose yourself and watch the world go by the simple bistro table and chairs complements the Cotswold stone. There is roadside parking in the streets behind the property. The vibrant market town of Chipping Norton is the highest town in Oxfordshire situated on the western slopes of the hillside that was once the site of a Norman castle. The town is well served with a good selection of shops wine bars pubs restaurants and a theatre. For walkers you have access to the countryside with circular walks that will guide you through the countryside. There are many other market towns within easy reach to include; Burford Stow-on-the-Wold Bourton-on-the-Water and Broadway. Daylesford Farm Shop and Cafe are just a few miles away along with Soho Farmhouse. The area is also brimming with National Trust properties and gardens to include Chastleton House Hidcote House and Gardens and Blenheim Palace. Take in the splendour of this detached Victorian townhouse before you step into the entrance hall the contemporary take of parquet flooring mixed with large mirrors and traditional radiators will give your first glimpse of the eclectic style of this home. The ground floor offers a breath-taking open-plan living space enhanced by the natural light from the large sash windows with a lounge/kitchen/diner. The lounge area is perfect for relaxing and enjoying a glass of wine before dinner sink back into the sofas in front of the wood burner there is also a TV/DVD in this area. For dining a formal table that will accommodate six guests is positioned in the centre of the room with the open-plan kitchen offering further seating for four guests. The kitchen has been designed for entertaining with plenty of natural light from the garden a centre marble topped island with seating for you to keep the chef company there is an electric range oven with gas hob microwave American style fridge/freezer and dishwasher. There is also a snug on this floor with TV/DVD where you can hide away with a good book or movie. Also off the hallway there is a separate WC. The lower ground floor is where the games begin the games room is perfect for a tournament whether it be table tennis or pool. There is also a further snug with comfortable corner sofa and TV perfect for gaming. There is a utility room on this floor with a washing machine and tumble dryer. So after a busy day catching up with friends climb the stairs to the first floor where you will find four bedrooms. A super-king-size with ornate fire place views across the roof tops and an en-suite bathroom with separate shower and WC. There is a double bedroom with stripped wooden floor and window shutters. A double with an antique style French bed and window shutters. A double with views across the roof tops. There is a separate bathroom with shower over bath and WC. Climb the stairs to the second floor and you will find two bedrooms. A small double room and a larger double room within the eaves this room has a large corner sofa and is the perfect hideaway for the teenagers within the group. There is a bathroom with shower over bath and WC. Step outside to the enclosed gardens the courtyard has been cleverly landscaped to create an additional room perfect for entertaining. The corner sofas are great for relaxing with the mirrored backdrop creating additional lighting. There is a fire pit for when the sun sets. And for total relaxation take a dip in the hot tub this is set to the side of the garden and has been set into the terrace. There is off-road parking for three cars.